A simple and delicious change from fruit salad. Squeeze the orange and add the vanilla extract to the juice. Wash the apricots and strawberries under the tap. Cut the apricots in half and remove the stones. Hull the strawberries and cut them in half. Rinse the blueberries in a sieve under the tap. Leave on kitchen paper to dry. 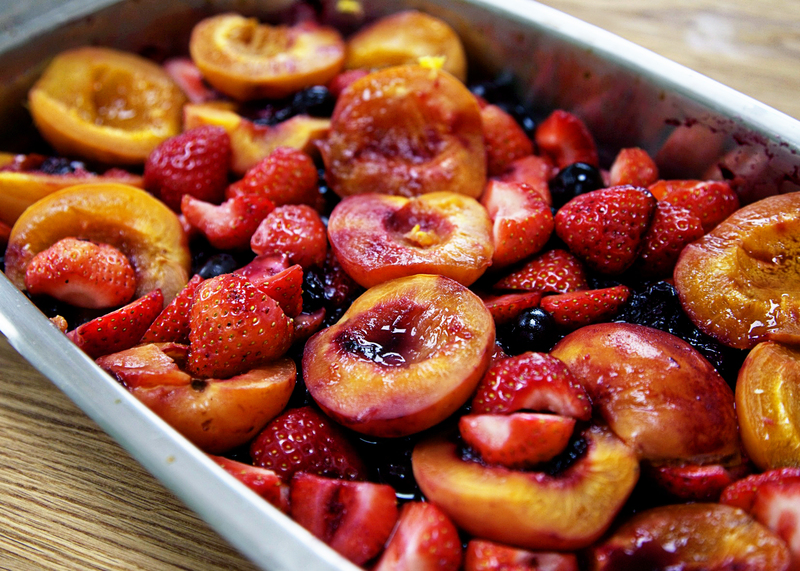 Put the apricots and blueberries into a shallow ovenproof dish. Sprinkle them with sugar and pour the orange juice over. Bake for 20 minutes. Remove from the oven and gently stir in the strawberries. Leave to cool then cover with cling film and chill in the fridge.